There are different ways to bring the light as an essential part of your home, but in this post, you can see only the most exclusive ways. 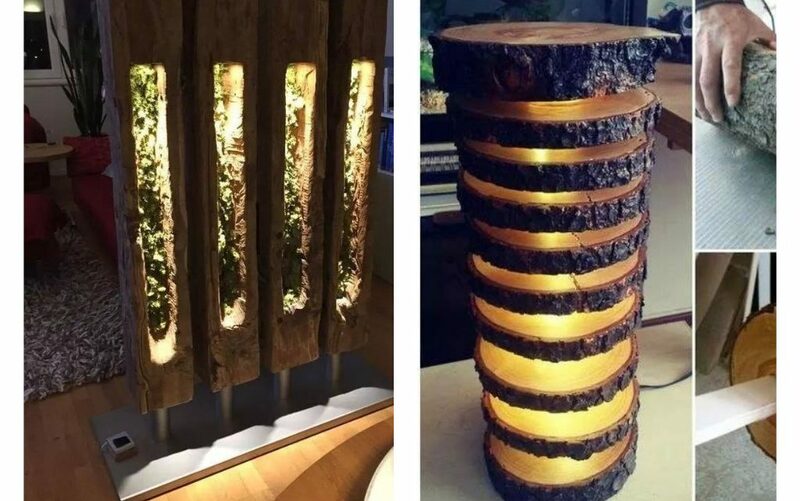 You will see stunning wood lighting and you will surely wish to have these light fixtures in your H O M E! Some of the following do it yourself ideas are cool and only people who are creative and those who have a lot of patience can make it. Are you one of them? Read the full text, check all the photos and motivate yourself! 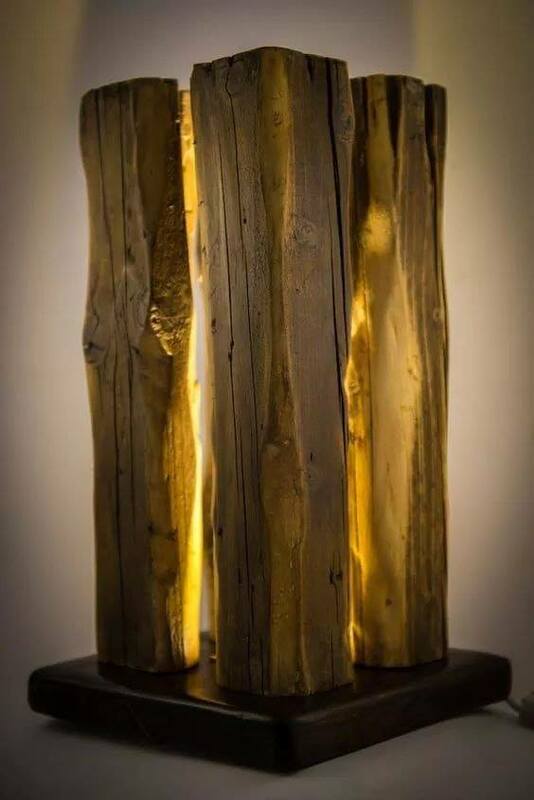 See floor lamp, table lamp, outdoor lamps and indoor lamps and all made of wood! 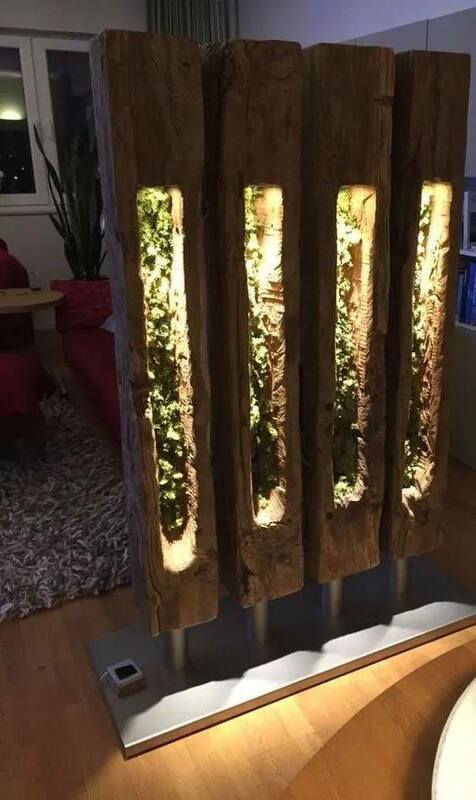 This unique rustic wood lighting ideas has also a function like a room divider. Cool thing that every modern interior can have it and to keep the modern design. 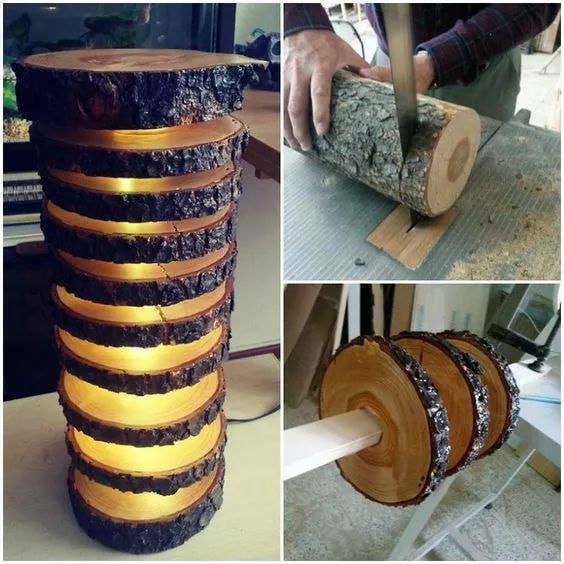 The project of making a firewood light lamp for your home is so easy and you can make it if you have free time, material and patience! When you will finish with the craft you will have nice lamp to die for it! In this photo collage you can see the full process for making this project and also the final result. For more information, follow the link below the photo that will take you to the page where you can see carefully and slowly the process and to try to make it at home. 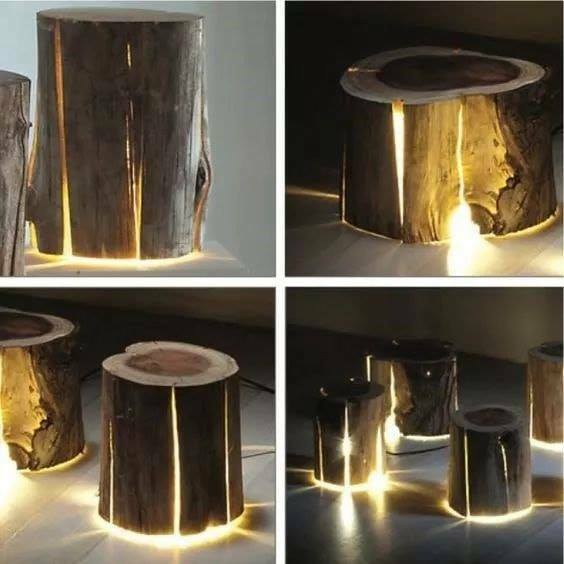 You can also make this craft for outdoor place and to reuse the old tree stumps and trunks, to make lovely light lamps and to add it on the garden flooring. In this way, you will have enough light on the garden pathway, you will save on money and you will boost your creativity. Also, take care for the table in your bedroom or living room place and make a same lamp for this place. Find the motivation in the photo here and try to make this amazing decorative element when you will be free! 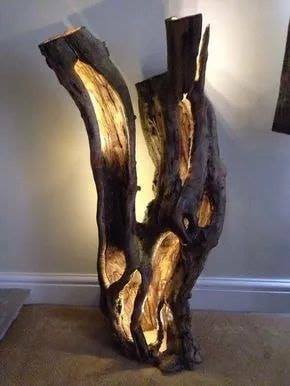 And we will finish this post with the driftwood lamp but this time it’s a lamp for the floor that will be the focus of interior design. 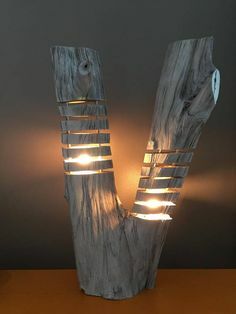 Well, maybe it looks weird but this is modern decorative element that you can make it by yourself and the only thing that you wont know how to make it’s how to connect the light with the wood. But don’t worry for this you can call an electrician to help you with that! Also, read about our post from yesterday that is about how to decorate the landscaping in the most amazing way. Thanks for the time you spent with us!